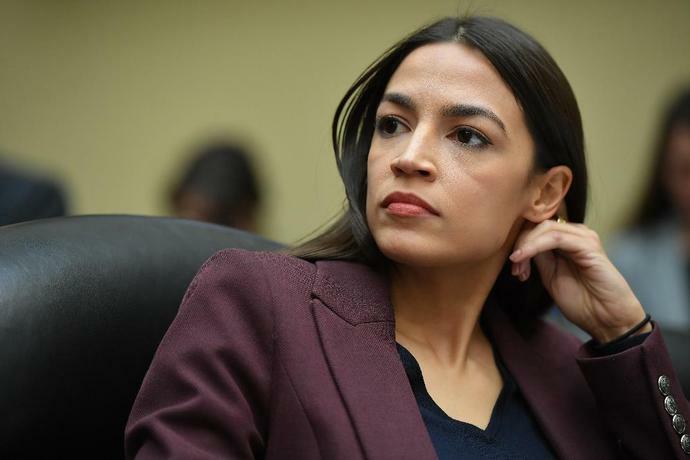 Washington (AFP) - Sixteen Democratic lawmakers, among them rising star Alexandria Ocasio-Cortez, on Thursday sent a joint letter to Secretary of State Mike Pompeo criticizing what they described as "counterproductive" US strategy on crisis-hit Venezuela. "We write to express our deep concern regarding the Trump Administration's handling of relations with Venezuela, particularly its suggestions of military intervention, imposition of broad unilateral sanctions, and recent recognition of an opposition leader as interim president," the legislators wrote. They warned recent sanctions could "exacerbate the country's grave economic crisis, causing immense suffering for the most vulnerable in society who bear no responsibility for the situation." Venezuela is in the midst of a power struggle between President Nicolas Maduro and national assembly leader Juan Guaido, who declared himself interim president in January and is backed by more than 50 countries, chief among them the United States. Guaido accuses Maduro of rigging last May's election which saw the socialist successor to Hugo Chavez win a second term despite a freefalling economy and hyperinflation that has left millions without basic necessities and triggered a mass exodus. The lawmakers also strongly condemned Maduro for his repression of the country's civil society, economic failure, killing of unarmed protesters, holding illegitimate elections and blocking humanitarian aid. Since 2015, Washington has sanctioned dozens of current and former Venezuelan officials -- among them Maduro himself -- accusing them of human rights violations, corruption and drug trafficking. 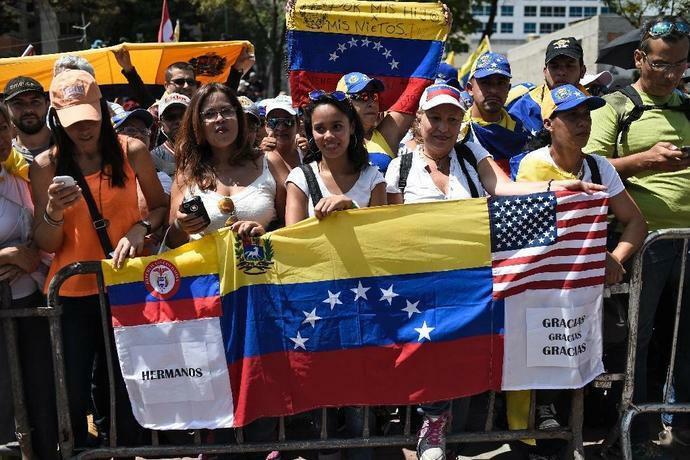 On Wednesday, US President Donald Trump's administration continued to tighten the screws on its campaign of sanctions to force Maduro from power, revoking the visas of 77 people linked to the regime. "The U.S. stands alone in its decision to impose economic sanctions against the Venezuelan government, that as currently implemented, are hurting the civilian population," the lawmakers wrote, branding the policies as "counterproductive" as they "play into the Venezuelan government's narrative" that the opposition is a puppet of Washington. Along with Ocasio-Cortez, lawmakers who signed included representatives Ilhan Omar, Rashida Tlaib, Ayanna Pressley and presidential hopeful Tulsi Gabbard.